(WASHINGTON) – American Road & Transportation Builders Association (ARTBA) Chairman Bob Alger, president and CEO of The Lane Construction Corporation, Jan. 28 announced the creation of a member-led “FAST Act Reauthorization Task Force.” The group is charged with developing the association’s legislative blueprint for the next reauthorization of the nation’s federal highway and public transit programs, due in 2020. 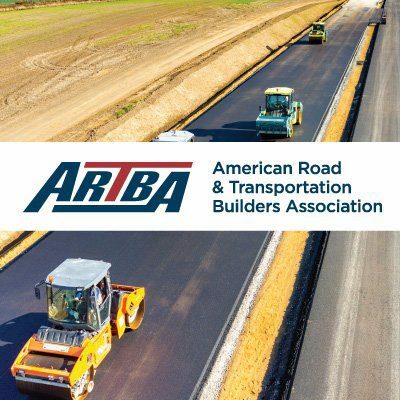 Paula Hammond, a WSP USA senior vice president and national transportation market leader based in Seattle, and Tim Duit, president of Oklahoma-based Duit Construction Co., Inc., will co-chair the task force, Alger said. Hammond dedicated her 34-year public service career to improving transportation systems in Washington state, and served as its secretary of transportation from 2007-2013. She is WSP USA’s leader in emerging transportation areas such as connected and automated futures, system operations, pricing, resilience and integrated corridor management. Hammond holds a variety of volunteer leadership roles on American Association of State Highway & Transportation Officials (AASHTO) committees, with the Transportation Research Board (TRB) executive board, and the Women’s Transportation Seminar (WTS) International board of directors. Hammond currently serves as an ARTBA vice chair at-large and a trustee on the association’s Transportation Development Foundation. Duit, who also serves as an ARTBA vice chair at-large, has held several positions with Duit Construction since joining the company in 1982. Duit Construction is part of a family of companies—including TKK Construction, which Tim formed in 1994—that have become the premier group of concrete and asphalt paving and bridge construction contractors in Oklahoma, Texas, Arkansas and Kansas. Duit companies are the recipients of numerous state, regional, and national concrete, asphalt and bridge construction awards. Duit is a director on the Oklahoma Associated General Contractors (AGC) board and Oklahoma AGC Workers’ Compensation. He is also on the UMB Bank advisory board.